Synopsis: Aud Torvingen is back — contemporary fiction’s toughest, most emotionally complicated noir hero returns to teach a new round of lessons in hard-hitting justice, and to confront new adversaries: her own vulnerability and desire. Always brilliantly intertwines the dramatic episodes of Aud’s class with the increasingly complicated investigation that introduces Aud to the limits of self-reliance, and to the scary and beautiful prospect of allowing oneself to depend on other people. What emerges is a thrilling, thoroughly engrossing novel that imbues Griffith’s “classic noir hero” (The New York Times Book Review) with an emotional complexity that far exceeds the boundaries of the genre, and will push Griffith to her well-deserved place at the front rank of new-wave literary crime writers. Nicola Griffith is still fairly new to me as an author and quite frankly, I have been missing out. “Always” is the third book in the Aud Torvingen series and while it can stand as a read-alone book, it does help to read the first two. This is a very fast paced thriller set in Seattle, with an additional story line set in Atlanta. Let me say, right up front, that I am more than a little in love with Aud. She’s completely self-contained to the point she’s mostly unaware of how people and emotions work. She’s a martial arts expert. She teaches self-defense to a group of women who desperately need it. And, at least in this book, she has to figure out how to be vulnerable. There are so many parallels between Aud and the author, Nicola Griffith. Griffith lives in Seattle with her partner, taught self-defense classes, and is living with MS which also features prominently in this book. Aud is very real as a character because Griffith is able to draw on so many of her own real life experiences without having to just do research on the subject. What I liked: Again, this can be read as a stand alone book. There are two separate story lines taking place – one in the present in Seattle and the other taking place in Atlanta just before Aud travels to Seattle. The plot switches between the two but there is never an interruption of the flow of the story. Aud seems to be a bit of a sociopath at times because her responses are a little off the mark and she does not hesitate to do what she feels needs to be done. There were a few shocking moments in this book which I won’t ruin with a spoiler that speak directly to her personality. She’s extraordinarily pragmatic and sees the world in black and white, no grey areas. She’s also terribly damaged and I feel so protective of her, even though she could kill me with her bare hands. In the Atlanta story line, she is teaching a group of women self-defense. Aud knows by body language, and words left unsaid who in the group has been brutalized and why they are there. This was a fantastic plot for me and I would have enjoyed reading more about them. Griffith writes so powerfully about how women have been trained from a young age to be “nice” even when our gut instinct is to run. It really made me think. The Seattle story line is the main plot in this book and that’s where we spend most of our time reading. Aud travels there to check on her real estate investments and ends up caught in her own mystery. There is a new relationship for Aud and I enjoyed reading how her her need for power in all things wars with her new found feelings. What I did not like: There is a lot of real estate scamming going on that I have zero interest in and zero understanding of. I skimmed much of it. I loved this book and loved the series. If you are looking for a mystery thriller that features a six-foot lesbian who knows ten different ways to kill you with her bare hands, this book is for you! The cover art is some of the worst I have ever seen. A fist. A purple fist. Purple maybe as an analogy for a bruise? The fist coming right at you? I like to think about what’s inside the book, not have to figure out what the cover might mean. Synopsis: Perfect for fans of Gillian Flynn, Paula Hawkins, and Tana French, R. K. Jackson’s lyrical, twisty psychological thriller debut follows an aspiring journalist as she uncovers dark truths in a seaswept Southern town—aided by a mysterious outcast and pursued by a ruthless killer. 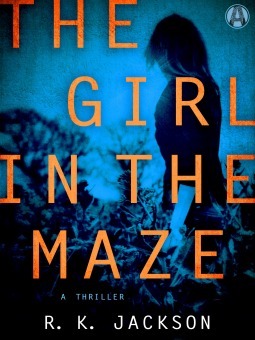 The Girl in the Maze is a fast paced psychological thriller that keeps you engaged from beginning to end. The story begins with Martha, our protagonist, moving to a small Georgia town called Amberleen in order to pursue an internship with a historical society. Martha has just recently been released from psychiatric care after having a psychotic breakdown in her college dorm room. Her doctor has diagnosed her as schizophrenic, but assures her that as long as she takes her meds, she will be fine. Martha has always heard voices and usually sees someone she calls Lenny who is as real to her as anyone is. He whispers dark things to her and the medicine keeps him away. She is so excited to begin recording the oral history of the Geechee people and has the opportunity to write a book about that history. She enjoys the people she works with and is settling in to her work when she starts hearing voices again. The woman who sponsored Martha’s internship is brutally killed and it seems that Martha is the killer. Not knowing who to trust, not knowing if she is innocent, she disappears into the swamp. What I liked: This is such a great example of a Southern Gothic mystery, and was so much fun to read. The amount of research that went into the Geechee history is apparent and I appreciated that. The fight to keep their island is something relatable as it seems so much is being taken over by big business every day. With many cultures, mental illness is not viewed with the stigma it’s viewed in the Western world. Many prophets and seers have been thought to have some sort of mental illness and such is the case with the Geechee people. The ability to see what’s not there and to talk with the spirit world is something prized, not something shunned and labeled. It was nice to see that side. What I didn’t like: I would have liked to have known more about Martha before she came to Amberleen and what lead to her breakdown. We know very little about her family and her family’s history. This really is a great book and a throughly enjoyable mystery. Synopsis: From the internationally acclaimed author of the Harry Hole novels—a new, electrifying stand-alone thriller set in Oslo in the 1970s: the story of an unusually complicated contract killer—the perfectly sympathetic antihero—that is, as well, an edgy, almost lyrical meditation on death and love. This is a fantastic read! This is a stand alone book, not related to the Harry Hole series. Very fast paced, action packed thrilled that I thoroughly enjoyed. Olav is a fixer for his boss. He has failed at so many other occupations, but as a fixer he has found his calling. He “fixes” people that his boss needs gone and is the best at his job until his newest assignment – fixing the bosses wife. While spying on her, he watches her lover beat her and so decides to fix the lover instead, not realizing the her lover is the bosses son. Now Olav and the bosses wife are in hiding while he figures out what to do. Olav is such a likeable protagonist, you can’t help but feel affection for him even considering what he does for a living. Even as he falls in love with the wife, you want it to be a good thing for him although you know it can’t possibly be. You want the happy ending for Olav. I really recommend this book. It’s a quick and easy read, filled with everything I am learning that I like about Nesbø: fast, sharp, edge of your seat writing. 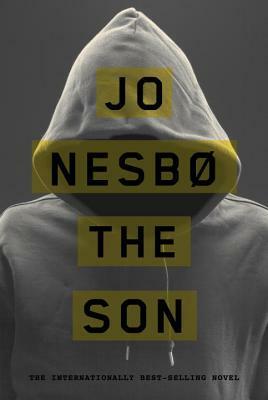 Publisher’s Synopsis: The author of the internationally best-selling Harry Hole series now gives us an electrifying stand-alone novel set amid Oslo’s hierarchy of corruption, from which one very unusual young man is about to propel himself into a mission of brutal revenge. This is my first Nesbø book, and I know it won’t be my last. A gripping crime thriller, it’s fast paced and a fairly quick read that I enjoyed. I don’t read a lot of police drama and it was interesting to read this one from a Scandinavian perspective. 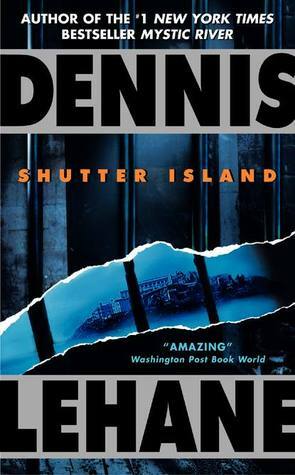 The book starts out in a state-of-the-art prison where we meet our main character, Sonny Lofthus, who has been in prison for 12 years – since he was 18. Jailed for murder, he is keep in a near catatonic state and supplied regularly with heroin. All he has to do is continue to take the fall for murders he didn’t commit which he willingly does in order to get more heroin. It’s a vicious circle. He is known throughout the prison as a healer of sorts, willing to hear confessions and grant absolution. It’s in one such confession that we learn the truth about Sonny’s father – that he was a police officer whose suicide was a set up. His confession to corruption was faked and he was killed by a friend and mole in the police force. Sonny’s world changes in that moment and he breaks out of prison in a daring escape with the intent of hunting down the people responsible for his father’s death. This was a good book, but it requires a bit of suspension of disbelief. Sonny is seemingly able to kick a decades long heroin habit overnight with not much effort. He is also able to drive with one lesson and able to use a cell phone with never having seen one before. He is able to escape a maximum security prison and then break back into the same prison. The criminals in this book have no redeeming qualities and Sonny is gifted with almost spiritual qualities. That said, I recommend this if you like police and crime drama. 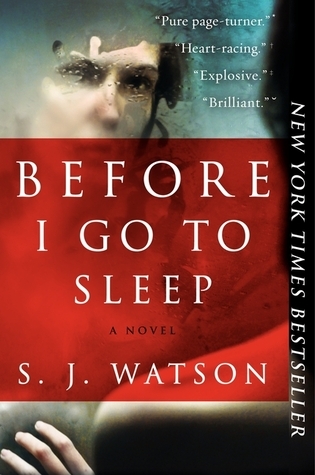 Publisher’s Synopsis: S. J. Watson makes his powerful debut with this compelling, fast-paced psychological thriller, reminiscent of Shutter Island and Memento, in which an amnesiac who, following a mysterious accident, cannot remember her past or form new memories, desperately tries to uncover the truth about who she is and who she can trust. Sometimes I wake up in the middle of the night, terrified because I feel that I am lost somewhere and buried alive. It takes just a few seconds for me to realize that I am safe in my bed with someone who loves me sleeping next to me. What if you woke and and that terror never left you and you have no recollection of who was next to you or how you got there? That’s the basis of “Before I Go to Sleep”. Our narrator, Christine, wakes up next to a sleeping man she doesn’t know. She makes her way to the bathroom and find photos taped around the mirror, detailing a life that she appears in but has no memories of. Her husband, Ben, explains that they are indeed married, and have been for 22 years, that she is safe and this is her life … the same explanation he has been giving her every morning for 16 years. Christine was in a severe car accident and suffered head trauma that left her with anteretrograde amnesia – she is unable to create new memories or recover old memories. This means that each night when she slept, all the day’s memories would be erased and she would start the next day with no memories. She is contacted by a doctor who is interested in presenting her case as a paper and with his help, she is able to keep a journal. He calls her daily to remind her to read her journal and to get it out of it’s hiding place; Christine has kept it hidden from her husband along with the fact that she sees this doctor. Using the journal, she is able to begin to piece together some of her past – and it doesn’t add up. On the very first page of her journal, she has written in bold letters, “Don’t Trust Ben”. Watson has done a great job portraying Christine’s paranoia and suspicions, as well as her confusion over who to trust. Can she trust her husband, Ben, who has cared for her and loved her all these years? Why did she write not to in her journal? Can she trust the doctor? Can she trust herself when she remembers nothing from her past? What is real? This is an excellent psychological thriller, and I really enjoyed it. About 70% of the way through the book, I thought that I had for sure figured out who had done what but I was completely wrong! The twist at the end was rough and more than a little sad. I had a tough time putting the book down until I finished the entire thing. “The Namesake” turned out to be a beautifully written narrative that I enjoyed. I wish I was able to learn more about Gogol’s parents but that was not what the book was about – it was a narrative of his life. He fought against his unique name and naming circumstances, his family and cultural heritage only to come full circle at the end of the book. Well written but a bit predictable. I skipped over the next book in my queue to read this and am so glad I did! I rarely give five stars on Goodreads but felt that this book warranted it. Five stars means, for me, that I can and will reread this book with the same enjoyment I had the first time. I finished the book in an afternoon as I got sucked in right away. The character development is well done, the scenery is perfect and the twists in the book keep coming! The plot keeps you right there with Teddy up to the very end when all is revealed .. or is it? I found out this was apparently a movie starring Leonardo DiCaprio – and that it did the book justice. I don’t know that I will ever see the movie but am a little curious now. I'm a femme living in the Midwest, happiest at home with my partner, my cats and my books!